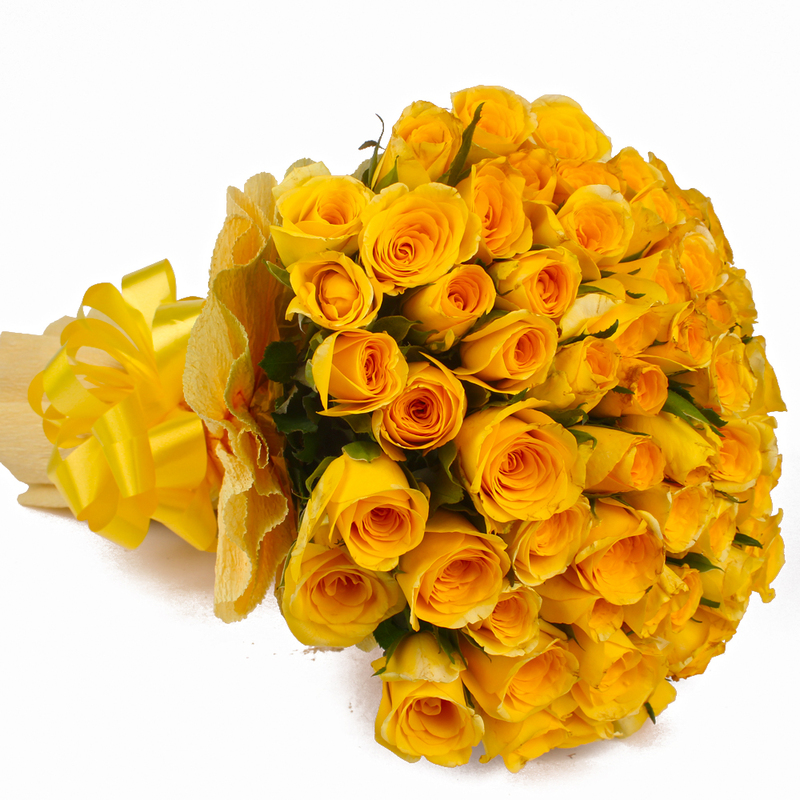 Product Consist : 50 Yellow Roses with green fillers in Tissue Paper Wrapping with Ribbon Bow on it. 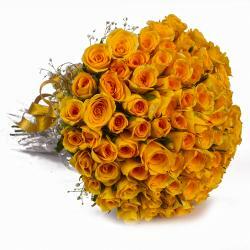 Spread boundless love everywhere with this beautiful bunch of gleaming Yellow roses. It is a symbol of pure frendship, care and affection. This is ideal for showing your special ones how much you care them. 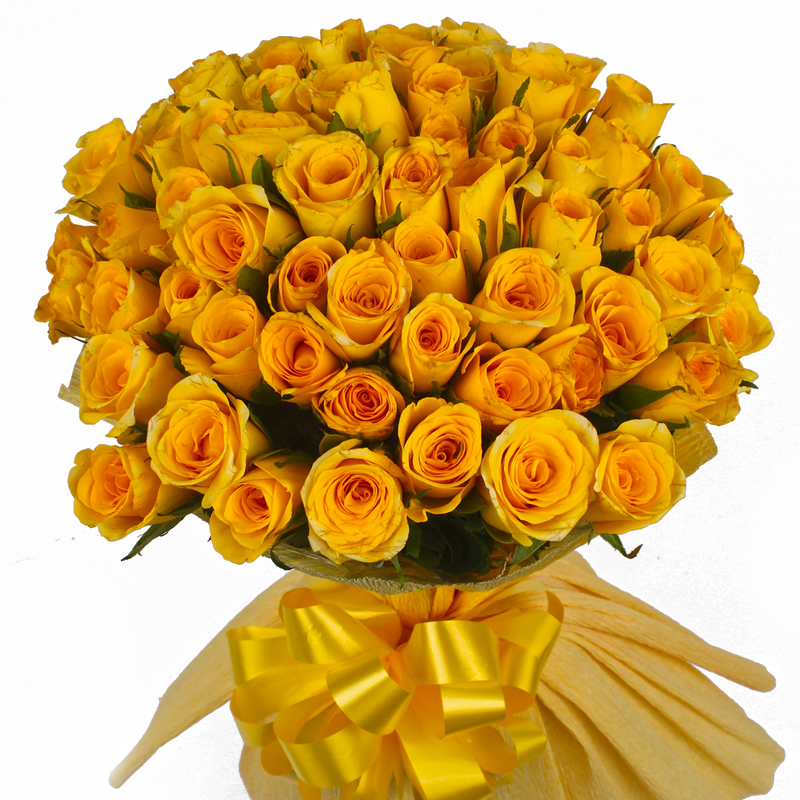 The Bunch of 50 Yellow Roses are bunched beautifully in Tissue with a ribbon bow. 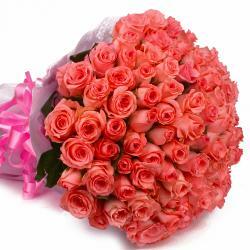 These flowers are best occasions such as Birthday, Anniversary, Wedding, Bhaidooj and Mothers Day. 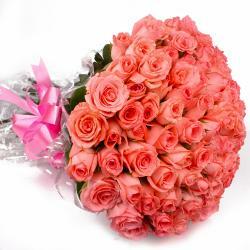 Thus, send these alluring Gifts to India through Giftacrossindia and make your recipient feel extra special. 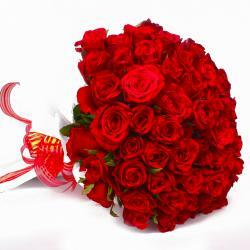 Product Contains : 50 Yellow Roses with green fillers in Tissue Paper Wrapping with Ribbon Bow on it.